Curated by art historian and curator, Karima Boudou with the support of Olivia Peterson (1-54 FORUM Curatorial Assistant) the 1-54 FORUM programme entitled Let’s Play Something Let’s Play Anything Let’s Play* accompanied the 2nd edition of the fair in Marrakech in February, 2019. This year’s series of panels, artist talks and screenings has taken as its point of departure the life and work of Ted Joans (1928 – 2003), an African-American Surrealist painter, jazz musician and poet who lived in Morocco, and later Mali, from the 1960s. Bringing Joans back into the context of Morocco provides a rich ground to discuss the intertwined narratives of surrealism in Africa and its diaspora. A unique opportunity to engage with rarely shown films featuring Ted Joans. Following her extensive research on Ted Joans, art historian and curator KARIMA BOUDOU (1-54 FORUM Programme Curator) will introduce several films spanning the decade of the 1990s. What is the role of archives in generating discourse and understanding histories? 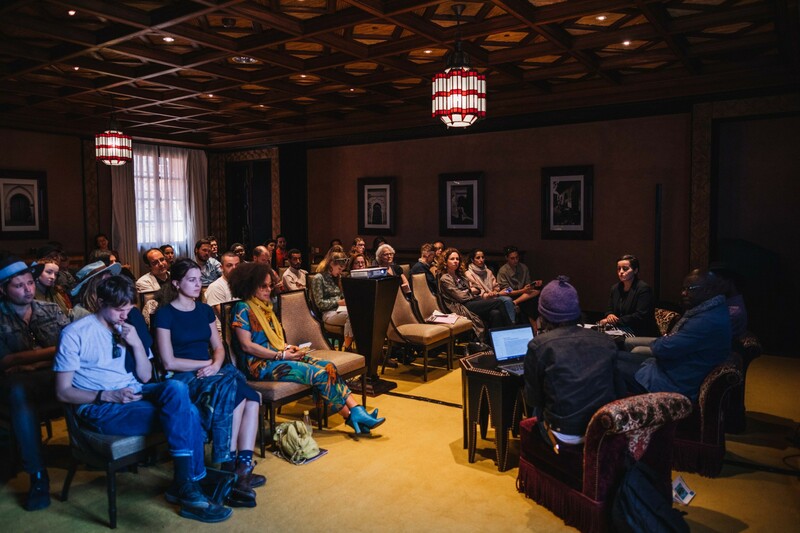 What can we learn from the process of archiving film and the use of archived documentary films in contemporary cultural projects? Ted Joans’ engagement with surrealism was often removed from the movement’s supposed bedrock of Paris, and closely involved with broader transatlantic dialogues of anti-colonialism and anti-racism. Grounding the forthcoming programme and drawing on current research, JOANNA PAWLIK (Lecturer at the University of Sussex) discusses Ted Joans’ relationship with surrealism, what it offered him as an artist and poet and how these could be used as a lens through which to place surrealism in contemporary discourse. How can language and word be used to liberate the unconscious? 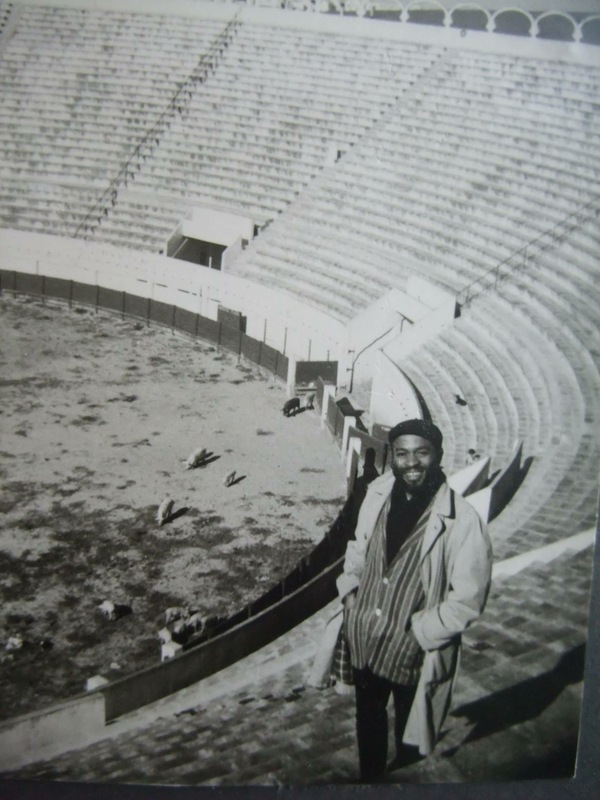 BONIFACE MONGO-MBOUSSA (Writer and Cultural Critic, Paris) draws on the life and work of Congolese poet Tchicaya U Tam’si (1931-1988) and his involvement with surrealism. M’BAREK BOUHCHICHI (Artist, Tahanaout) gives insights into his work and research around M’barek Ben Zida (1925-1973), a black Amazigh poet from Tata, south-eastern Morocco, while NOUREDDINE EZARRAF (Multidisciplinary Artist and Poet, Aghmat) introduces several threads which highlight orality’s role in activating a playful and poetic approach to materiality and everyday life. Moderated by Karima Boudou. VANINA GÉRÉ (Professor at Villa Arson National School of Fine Arts, Nice) will discuss Walker’s relationship to Afro-surrealism. With an Afro-feminist perspective Walker alters her lived reality as a black woman using imagery from a vast array of histories to confront issues of race, gender and violence. Having first met Walker in 2006 and followed her artistic trajectory ever since, Géré’s holistic lens will explore Walker’s relationship to Afro-surrealism in the context of the artist’s work up to 2015. 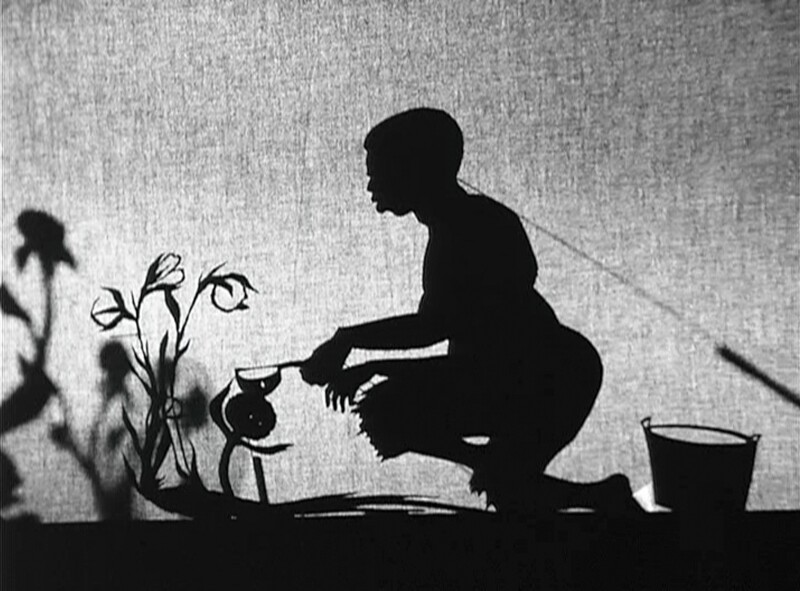 Kara Walker, 8 Possible Beginnings or: The Making of African-America, 2005, 15’. Courtesy of Sikkema Jenkins & Co. Since their rising in 1930s – 40s, Surrealist artists in Egypt have faced hostility. 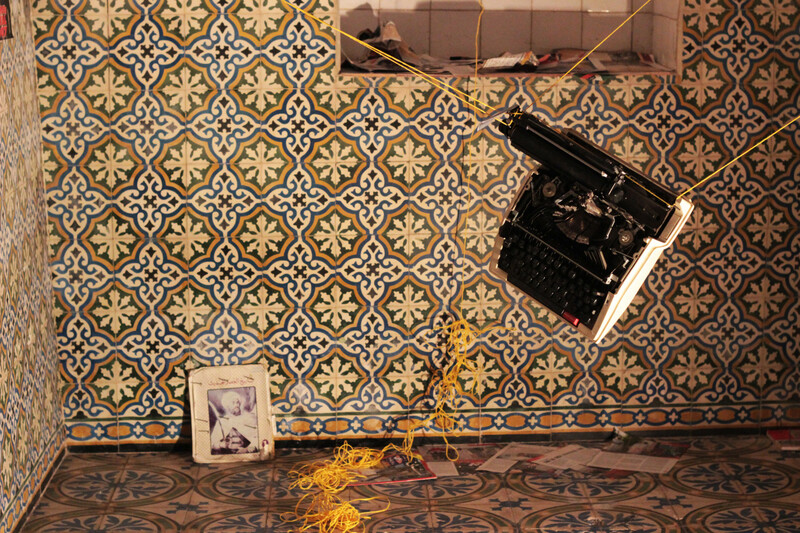 ALAA ABDELHAMID (Interdisciplinary Artist and Writer, Cairo) will explore the nationalist and commercially grounded representations of Surrealist artists in film, press, and government communication. 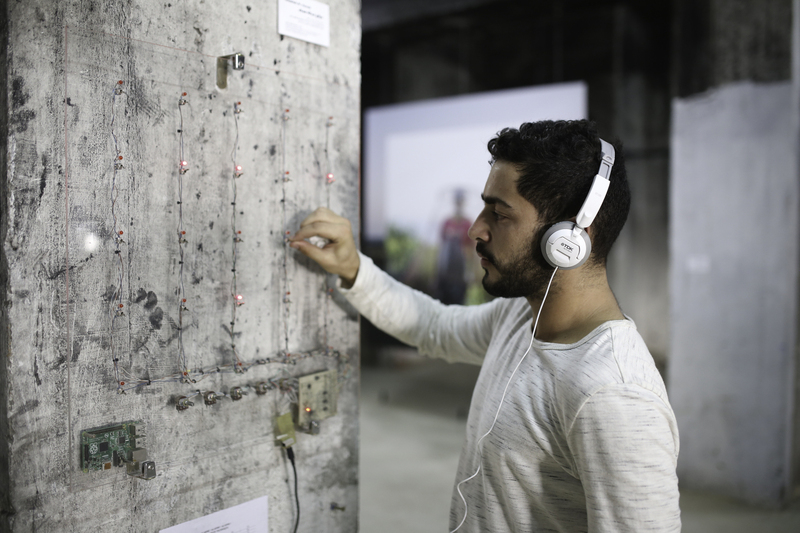 A reflection of their position in Egyptian society – where stories and official narratives collided – Abdelhamid will also explore the echos of these attitudes towards contemporary artists in this context. How can sound and orality reflect and document our (sur)realities and processes of imagination? Panellists will address the Netherlands’ jazz history and archives, and discuss immersive listening practices and audio recordings in the context of Morocco. A panel discussion with JESSICA DE ABREU(Anthropologist and Co-founder of The Black Archives, Amsterdam), ABDELLAH HASSAK (Sound Artist, Casablanca) and HASSAN JOUAD (Linguist and Anthropologist, Paris) moderated by Karima Boudou. Abdellah Hassak, Alarme! Alarme! Alarme! 2016, installation. Courtesy the artist. HABIB TENGOUR (Poet and Sociologist, Mostaganem and Paris) and OLIVIER HADOUCHI (Historian of Cinema, Paris) will depart from Tengour’s surrealist manifesto which subtly shows that surrealism – a movement considered to be of French origin – is in fact a recent European variant of much older Maghrebian traditions and practices. Tengour and Hadouchi will discuss Maghrebian roots of surrealism as a revolutionary means of disengagement, as a form of subversion of the language of power and a passionate pursuit of the practice of poetry, and the formation of histories and memory in relation to the Algerian context. VINCE FRASER (Digital Illustrator and Artist, London) discusses his work and practice with YVON LANGUÉ (Curator, Marrakech). 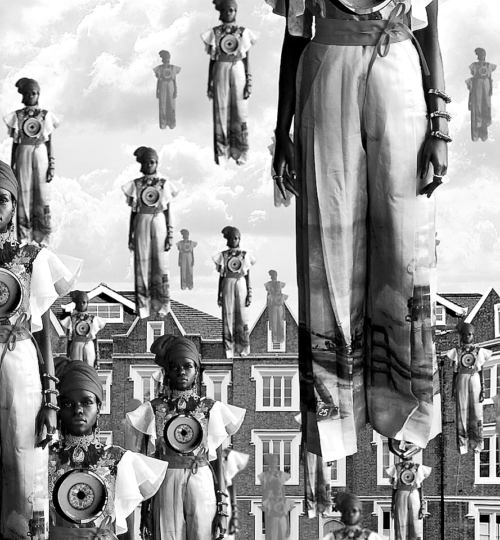 Fraser’s work, consisting of animated collages and photography, draws on both contemporary and past Surrealists as well as Afrobeat influences. How can one use surrealism and its narratives to celebrate numerous facets of culture and arts from Africa and the diaspora? A rare opportunity to engage with the work of Dutch filmmaker Louis van Gasteren. In 1963, Dutch writer and poet Simon Vinkenoog started a Jazz & Poetry night in Sheherazade, a nightclub in Amsterdam, on behalf of his American friends – including Ted Joans – who asked him “Hey man, where can you read Poetry here?” In 1964, van Gasteren directed the film Jazz and Poetry (1964, 14’) in which Ted Joans reads his poetry with jazz musicians Piet Kuiters, Ruud Jacobs, Cees See and Herman Schoonderwalt at Sheherazade. In response to the film, curators from the Marrakech-based collective UNTITLED (Soukaina Aboulaoula & Yvon Langué) will lead an intervention. 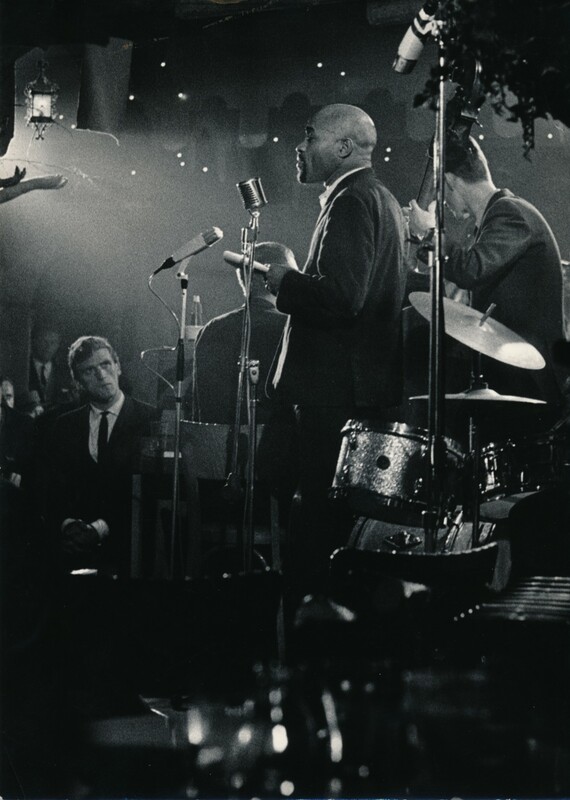 Still of Ted Joans in Louis Van Gasteren’s Jazz and Poetry (1964, 14’). Courtesy Spectrum Films and Johanna van Gasteren.